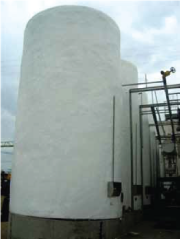 ThermalStop® is a closed-cell spray foam insulation system that can be used in general construction applications such as storage tanks, metal buildings, sewage digesters, and similar structures. However, the use of ThermalStop® spray foam insulation in commercial and industrial applications is limited only by the imagination of the specifier. 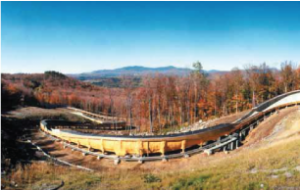 ThermalStop® spray foam insulation preserves optimal temperature for whatever structure it is applied to, providing an energy-efficient and economical solution for even the most challenging insulation environments. Additionally, this superior spray foam solution provides an air barrier, a water barrier, and a moisture vapor retarder, all of which eliminate the need for additional products and labor to accomplish the high performance level most applications demand.